MLS # 71622922 - SORRY - SOLD!!! 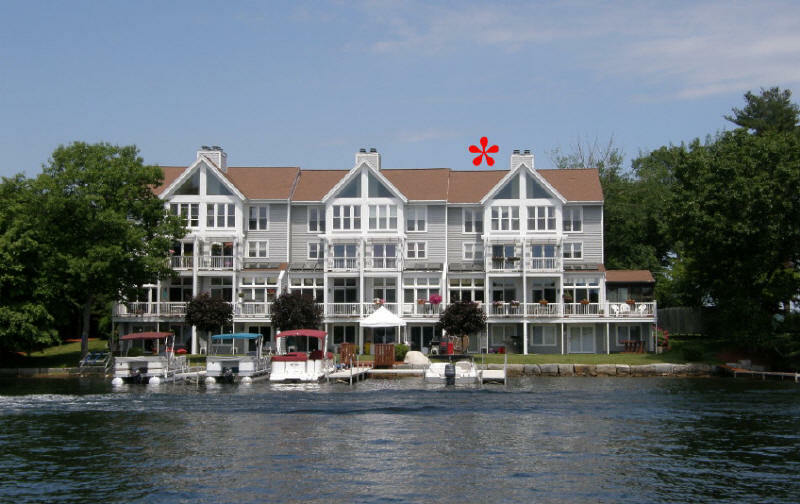 WEBSTER LAKE – Snug Harbor Villas! A Total of 6 Exclusive Waterfront Townhouse Units! South Facing with Views of Middle Pond! 8 Rooms, 3,269’ of Comfortable Lake Living! Granite Kitchen with Raised Panel Wood Cabinets & Stainless Appliances! Open Floor Plan! Dining Room with Wood Parquet Floor! Sunken Fireplace Living Room with Lake Views and French Doors out to the Deck! Entertaining Fireplace Family Room with Wet Bar that Walks-out at Lake Level! Spacious Lake Facing Master Bedroom with French Door to Private Deck! Fantastic Master Bath with Double Vanity, Whirlpool Tub & Corner Shower! Second Bedroom with Private Full Bath! Lake Facing Fireplace Great Room with Soaring Cathedral Ceiling with Fan & Skylight or You Could Use as the Master Suite! 3 or 4 Bedrooms! 4.5 Total Baths! 3 Fireplaces! Central Air! Central Vacuum! Attached Garage with Storage! Boat Dock! Conveniently Located with Easy Access to Exit 1 of 395! Summer’s Coming, Make Your Decision Now and Start Enjoying Lake Living! !